This is one of the letters that I've had a lot of trouble trying to find a word. I kept thinking of some stuff but nothing was really calling to me. I was thinking about glasswork but it is so hard to talk about something that I will never be able to do because it is just too hard to start. It also isn't something that I'm very interested in. 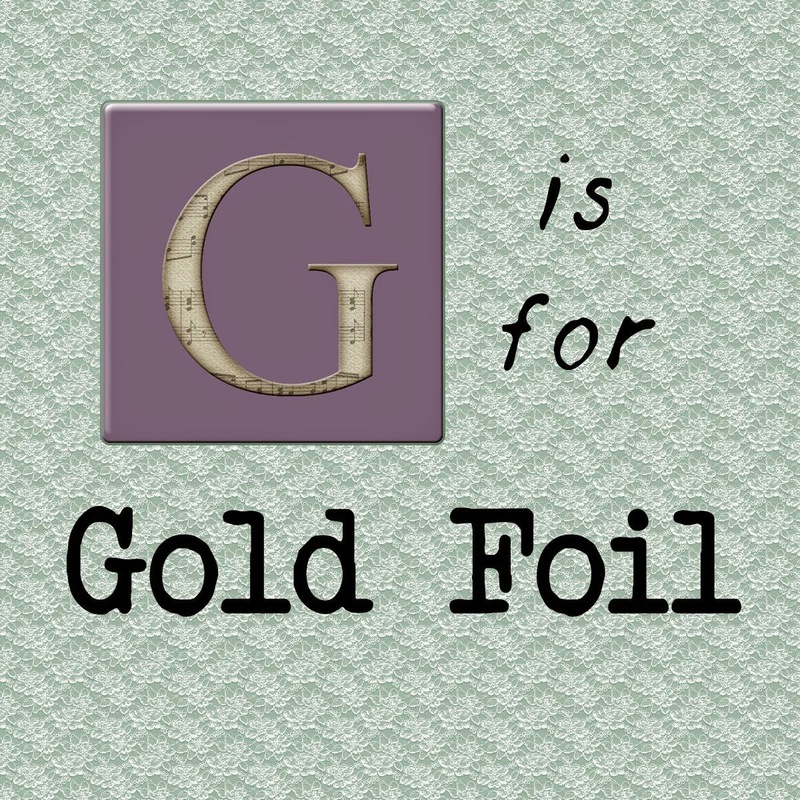 So I thought some more and I searched up G on pinterest .... that came up with some weird answers and I saw something done up in Gold Foil and I knew what I wanted to talk about. Well I'm not particularly talking about gold leaf here but Gold foil. The stuff used in scrapbooking. 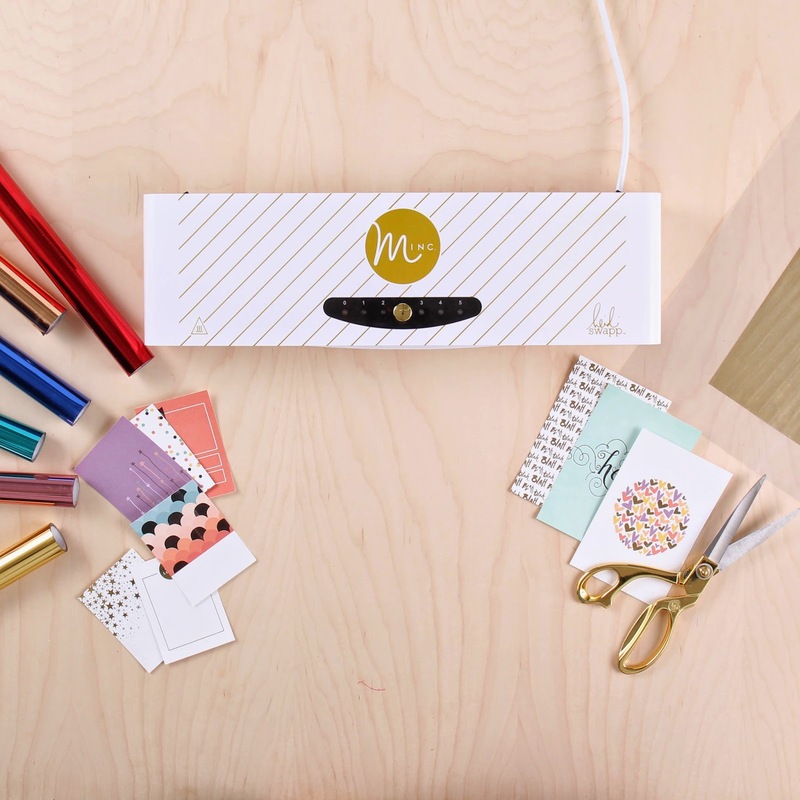 Quite a lot of people in the scrapbooking area have been raving about the new minc out by heidi swapp. Though there are a number of places carrying this tool. I borrowed this image of the minc from studio calico. You can buy one here but look around they are expensive and there is another option that I will talk about below. Have you seen those scrapbook cards and paper with pretty sparkly paper. 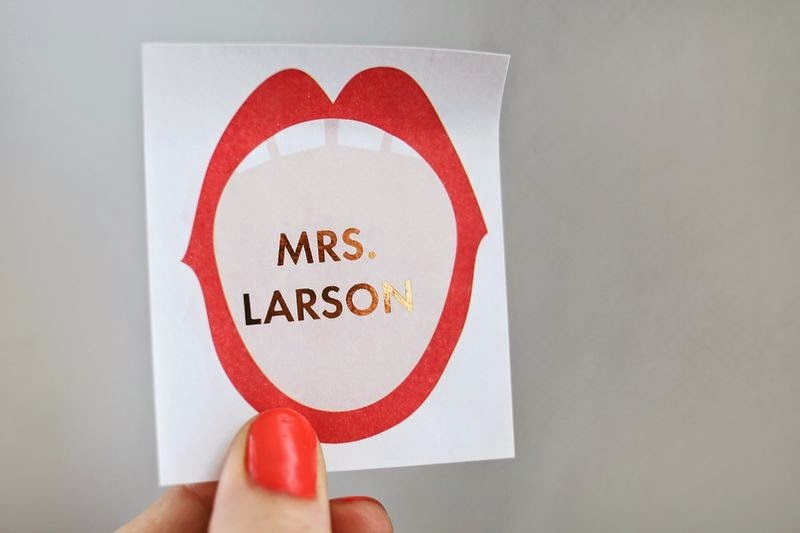 That paper is made using gold foil and there are ways to make your own pretty paper. Now there are a couple of things you need, If you don't have a minc a laminator will work. But you will need a laser printer or access to a printing service that uses one. You need a laser printer, inkjet won't work something to do with the carbon in the toner in a laser printer. Also you'll need foil sheets. These seem to be easy to find at many craft stores because it seems to be the new craze in scrapbooking. Some examples and how to find out more. Now I don't have any examples of my own but now that I know how easy it is to do I want to look at getting a couple of things printed. Here is a photo from the A beautiful Mess website of a project that they put up over the weekend. They give a great tutorial on how to use the minc. I did find two tutorials teaching how to use a laminator to do the same thing as a minc. 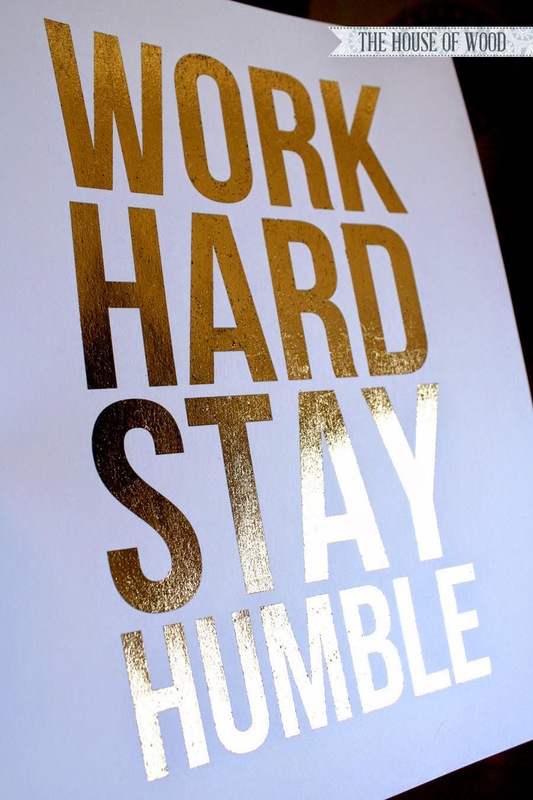 I love this work hard stay humble print that The House of Wood has done. Very pretty. 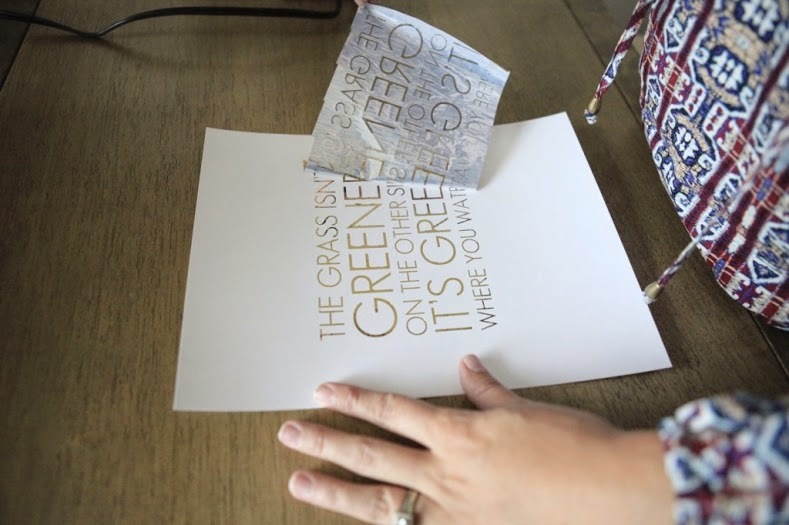 Also this grass is greener print from Jenny Collier is pretty as well. Both tutorials are simple and VERY VERY VERY similar so it's a matter of preference which one you pick or use both like I have. My Grandad was a stone mason and used real gold leaf sometimes. If a person's relatives were inclined to pay for it on the headstone. He would let my Mum use the tiny trimmings to decorate her nails!